There’s a property currently for sale in Monaco with an asking price rumoured to be in the region of 170 million (approximately £135 m) and, unlike asking prices in the UK which are largely being ignored, prices in the Principality are expected to be met. In Country Life International’s summer edition, which is out on May 21, we explore the market to find out why it’s ‘suffering’ from a supply rather than credit crunch. 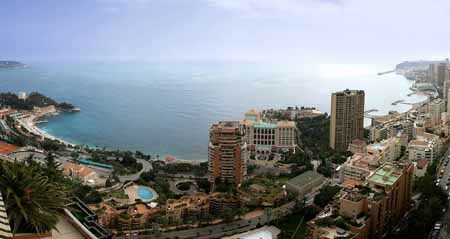 Competition to secure real estate in Monaco, and all the lifestyle and fiscal benefits that come with it, has sent demand sky rocketing. Prices per square metre are currently surpassing all set records. One property on the market is a duplex penthouse on the market with Julie Alejo of EIP (+33 625 56 01 16). Ideal, according to Mrs Alejo, for ‘discerning buyers’, the apartment has a terrace with 180° views of the Mediterranean and Monaco. For more on the property market in Monaco, look out for next week’s Country Life International Summer 2008.